These unique Bistro style mugs are 16oz. with a unique savannah blue inside and out with brown trim color. 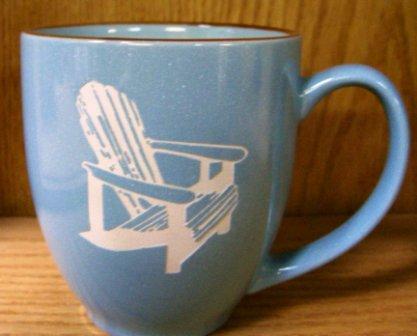 A perfect color combination combination for the sand carved Adirondack Chair design.